Starting with the pros, there are so many great benefits to renting your ski equipment instead of purchasing it. First of all, if you choose to rent the appropriate equipment, then you don’t have to worry about transporting it. This means you will potentially avoid the high costs charged by airlines. You will also be able to avoid storing the equipment, whether you’re at home or on a skiing trip. Also, if you rent, then you might be more prone to travel and visit other skiing areas. 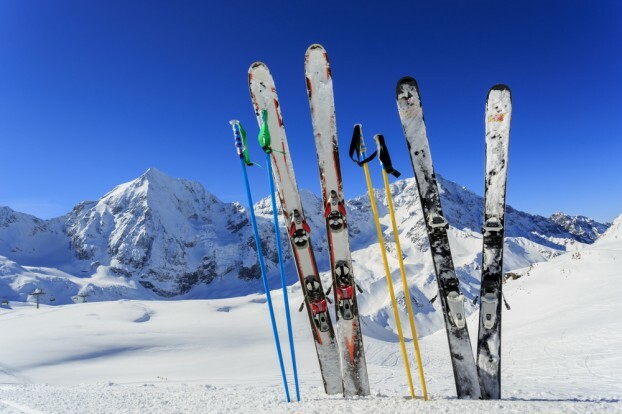 Further pros to renting skiing equipment instead of purchasing it include, but are not limited to: avoiding equipment maintenance, you can easily test new equipment or gear, the location will handle all of the technical issues, transporting heavy equipment is no longer an issue, and much more. Again, these pros will pertain differently to each individual. Depending on your specific situation, the examples mentioned above may not be helpful or even influence your direct position. To fairly assess the dilemma, it’s very important to see both sides of the situation. Therefore, it’s vital to take a look at and consider all of the cons to renting ski equipment. To begin with, a ski shop or venue may believe that you’re actually just a beginner or amateur. If this happens, it’s very likely that you’ll be given lower quality equipment. As the rental workers will assume you don’t know any better, the chances are much higher that you won’t receive the best equipment available. Further cons to renting skiing equipment instead of purchasing it include, but are not limited to: you may have to wait in long lines or wait for equipment to be returned before you have any to use, you will have to get use to different equipment each and every time you travel, and much more. You may not find this particular list of cons of renting skiing equipment to factor into your decision. Again, each person will have their own views and needs, when it comes to making the exact decision on how to handle their skiing needs. When it comes to making a decision, you may find that trying both of your options could be particularly helpful. This may seem confusing; however, there is a simple way to accomplish this test. First, you can try ski rentals on your skiing vacation. Go around to different venues and see if you mind waiting in line or dealing with used or older equipment. If this option doesn’t seem to influence your vacation, then chances are that you don’t really mind renting skiing equipment. However, if your tip turns out to be miserable (in part to the skiing portion), then you know that you might do best with your very own gear. You can try the opposite, too. Though this may seem more expensive at fist, you can purchase your own equipment and try traveling with it. If you find that it’s a hassle, then you can always attempt to sell your gear and go back to renting. The choice is yours, but it’s important to make a decision that best fits your needs and not someone else’s. Though skiing is a fun sport, it can also be quite expensive. Discover your preference and stick with it!